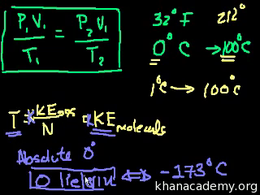 Thermodynamics is the science of energy conversion involving heat and other forms of energy, most notably mechanical work. 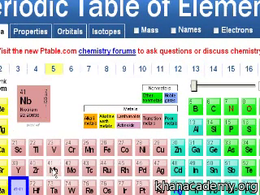 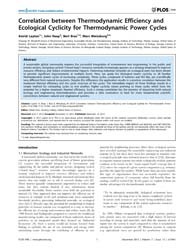 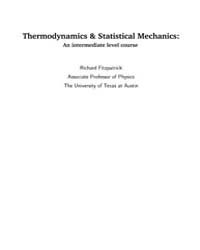 It studies and interrelates the macroscopic variables, such as temperature, volume and pressure, which describe physical, thermodynamic systems. 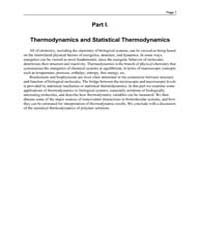 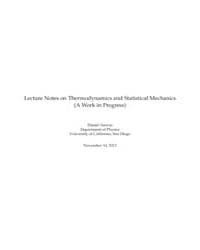 Description: This note covers the following topics: Probability theory, Statistical mechanics, Heat and work, Statistical thermodynamics , Classical thermodynamics, Applications of statistical thermodynamics and Quantum statistics. 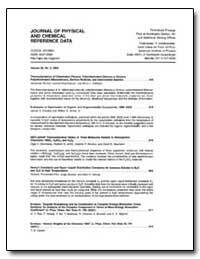 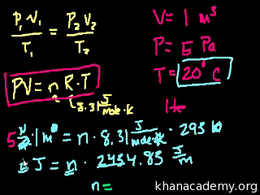 Intuition of how gases generate pressure in a container and why pressure x volume is proportional to the combined kinetic energy of the molecules in the volume. 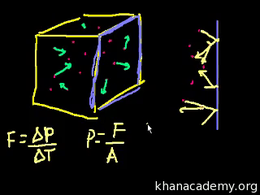 Example problem that pv=pv. 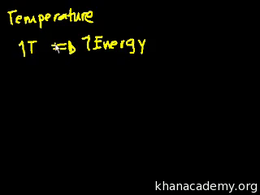 Introduction to temperature.